Beginning with, and as a result of the events of September 11, 2001, Americans have become more familiar with an altogether different type of war: the war on terror. Through the years since, mainstream media has covered this war in excruciating detail. We have become familiar with the layout of Afghanistan and Iraq, the basic practices and tactics of the Taliban and other insurgent groups, and more familiar the military commands responsible for fighting this war on the ground and in the air. What has been lacking through the years of war reporting are the personal stories of courage, heroism, valor, and sacrifice. One such story has been written by New York Times best-selling author Eric Blehm. 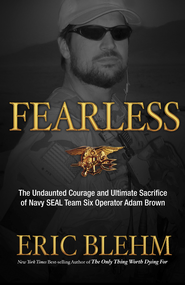 He has written a phenomenal book entitled, “Fearless: The Undaunted Courage and Ultimate Sacrifice of Navy SEAL Operator Adam Brown”. Blehm describes the life Adam Brown beginning with his childhood days in Arkansas and ending with his military service as a SEAL operating in Afghanistan. The years in between tell the story of the human side of Adam Brown. The first part of the book deals with his early years growing up in Arkansas. Adam grew up as a carefree and competitive youth. Whether playing football or jumping from a bridge, he always had to do it first and better. In his early college days, while searching for some direction in his life, Adam tried and became addicted to drugs. Blehm does a great job of sharing his struggles with drugs and the effects it had on the entire family. At his lowest, his parents allowed him to remain in jail after being arrested. While in jail, Adam accepted Jesus Christ as his personal Savior and his life took on a new focus and meaning. He joined Teen Challenge and began the process of kicking his drug habit. It was also during this time that he met his wife Kelly who would become the rock and support Adam would need in the years to come. Shortly after, a friend mentioned joining the Navy. Adam did. He was not satisfied with just being in the Navy, he wanted to be the best in the Navy. Adam wanted to be a Navy SEAL. The story moves along as Adam graduates from boot camp, finishes A-school, and eventually finishes BUD/S, which is the Navy SEAL’s training school. My words cannot describe the pain, discomfort, stress, and pressure that Adam endured while in SEAL training. Blehm tells the story beautifully. I especially like how the author tells the story of Adam and his wife Kelly growing closer and of their “normal” life in the midst of chaos. Adam earned his Trident and become a SEAL. It is during this part of the story that Adam’s “no-quit” and “never give up” mentality is fully brought to light. During training accidents, Adam severed four fingers on his right hand, his shooting hand. After surgery, Adam learned to shoot with his non-dominant hand. Adam also injured his right eye, his dominant shooting eye and although having extensive surgeries, he lost his right eye. During this time, Adam was not satisfied with just being a SEAL, he wanted more. With seemingly insurmountable odds against him, Adam trained for and became a member of DEVGRU, also known as Seal Team Six. With SEALs being the top 1% of all Special Forces operators, Seal Team Six is the top 1% of that 1%. The last few chapters are extremely emotional. Blehm continues to show Adam’s human side by describing Adam’s relationship with his wife and children. I am not going to write about the events of Adam’s death in Afghanistan. It is a story you must read for yourself. In these last chapters, there is a twist in the story that you will not see coming. “Fearless” is an excellent book. Eric Blehm has written an honest, gripping, inspirational, and smart book. What makes this book so successful is that the author has done his homework. Through extensive research and interviews with Adam’s fellow operators, Blehm sought to be true to every step of SEAL life. The author expertly weaves Adam’s faith, family, and devotion to duty into a beautiful story. 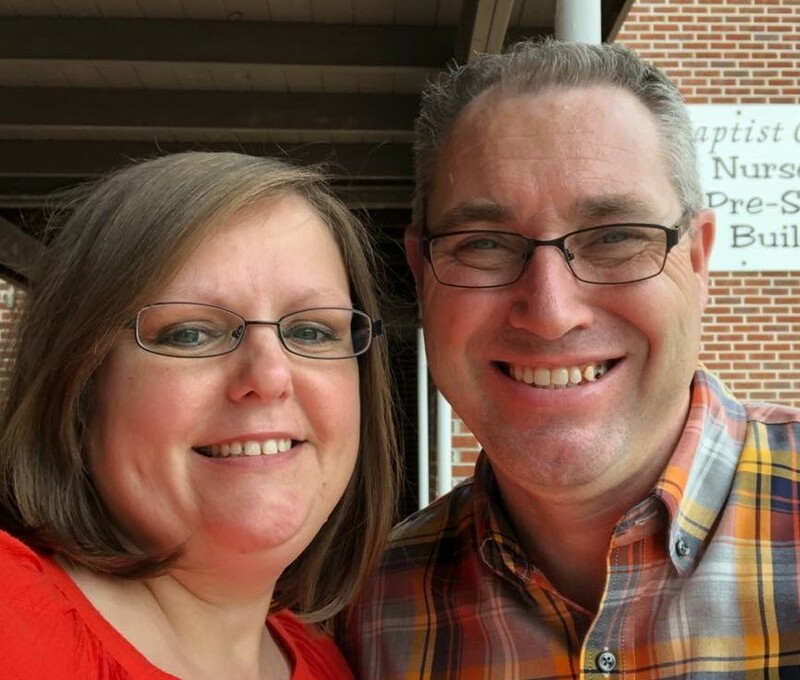 As a former Marine and now a Christian pastor, I identified with this story on many levels. I cried. I laughed. “Fearless” is a book that demonstrates what is right with our military today. Go get this book today.